A new spin on Jacks! Cool, one of a kind, round spiral shapes are made for easy pick-up. Soft material also makes them safe, fun, and won’t hurt if stepped on. Spin Jacks can also be played like a Top! 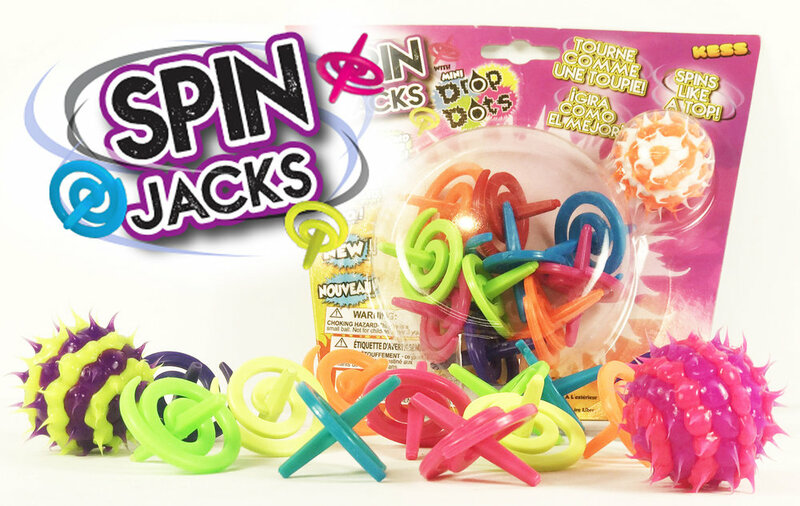 Pair Spin Jacks with Drop Dots Mini Balls and these Jacks are nothing like you’ve seen or played with before. It’s like three toys in one!